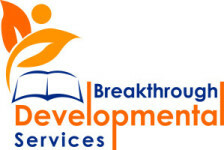 Breakthrough Developmental Services (BDS) is a première behavior health agency, headquartered in Maryland. Since our founding in 2007, we have motivated our clients to learn while having fun. BDS provides services to parents, organizations and people who want their student to become more successful and independent. Our caring team uses the principles of applied behavior analysis to teach an assortment of skills in the structured and natural environments. Each program we write is tailored to meet the needs of the person, or family, we are serving. At BDS, we focus on working with people who have developmental, intellectual and learning disabilities working to teach the skills that are needed to gain more independence. We are excited about the opportunity to bring on talented BCaBAs to help support our teams as part of our Behavior Support Staff (BSS). Each person we consider for a position must be dedicated to the growth and development of our clients and should believe that all people can be assisted towards learning new skills. Additionally, BCaBA level Behavior Support Staff will work with the BCBA to train and supervise the work of Registered Behavior Technicians and newer staff members as well as assisting in assessments and writing of plans. We are looking for staff members to work with our clients throughout DC, Maryland and Virginia. The pay range is $25 – $40 per hour depending on your education, experience and certification.